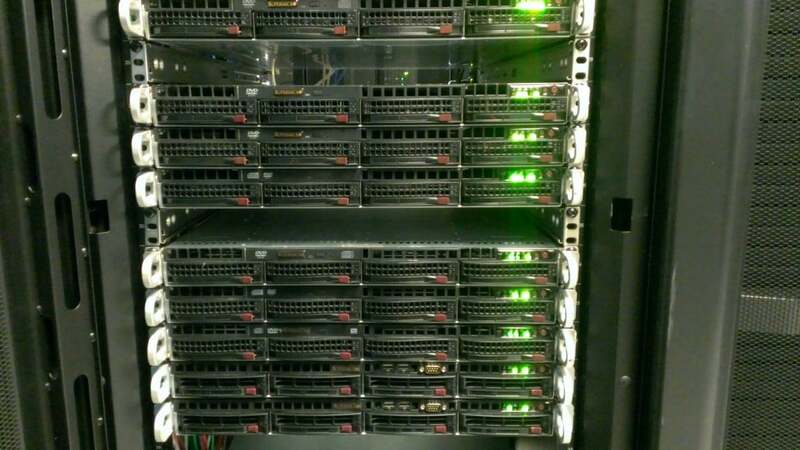 We’ve been performing a lot of hardware upgrades over the past few months for our web hosting infrastructure as well as KVM VPS hosting infrastructure. We wanted to post some of our new upgrades & pictures to our blog for our customers to see! 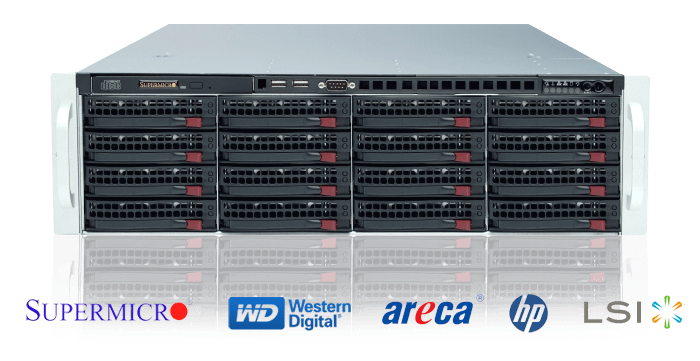 New 3U Supermicro Servers with 16 disk RAID10 arrays, dual E5-2620 v3 processors, DDR4 RAM & Areca RAID including RAM Cache. 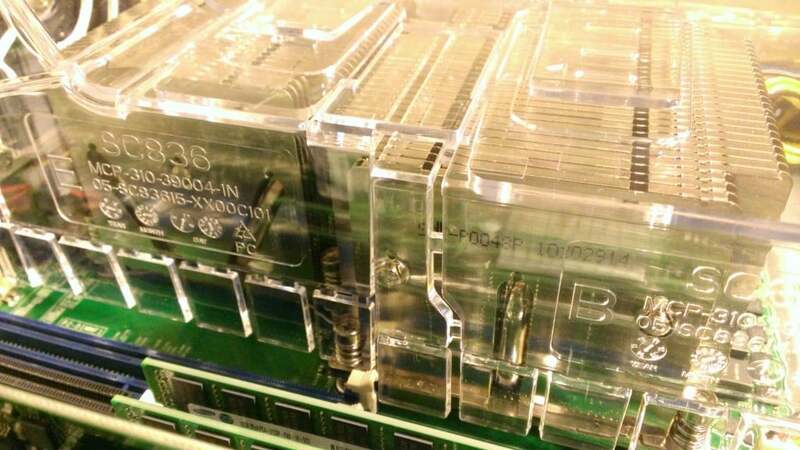 Here’s a few front peeks at our new KVM VPS hypervisor nodes. 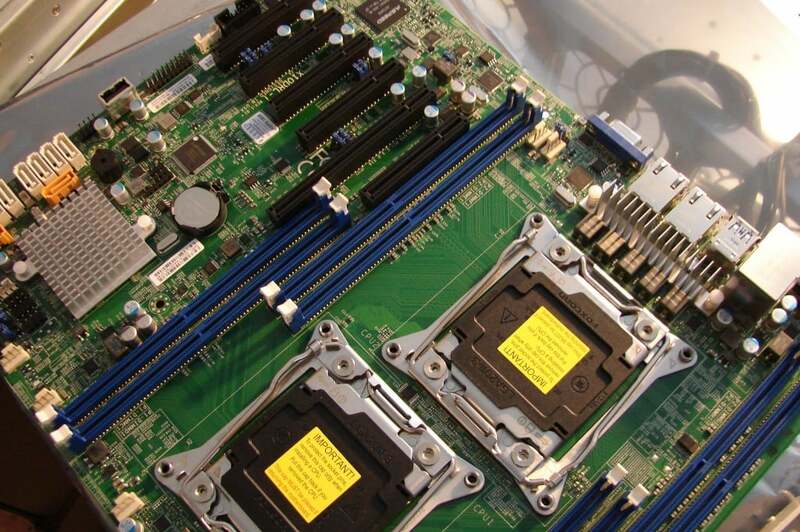 Inside chassis & motherboard – Supermicro X10DRL-i boards with 64-128GB DDR4 RAM & dual E5-2620 v3 hexa core processors. One of our new servers ready to be racked. 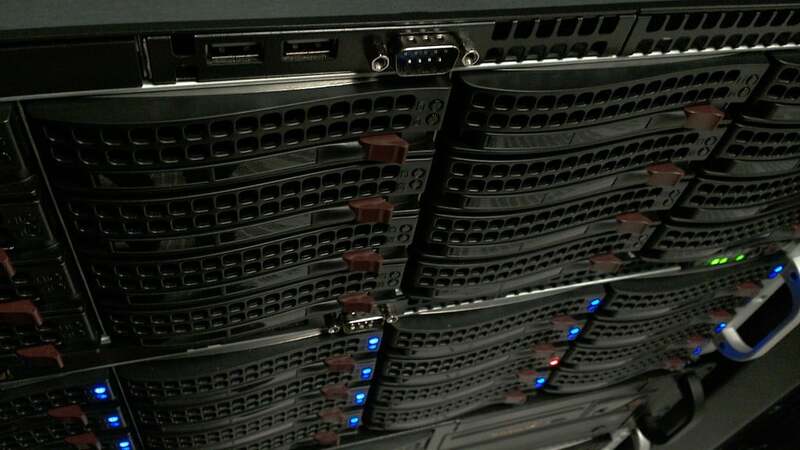 As we replace many of our older servers, the older servers get transitioned into multiple services – many will go into clusters for development & testing and others will be re-purposed for backup storage. Below are some of our development & testing servers as well as backups. Cluster of development & testing servers for OpenStack, oVirt & glusterFS – the two 1U servers on the very bottom are production servers, the remaining servers would be for developmental clusters. 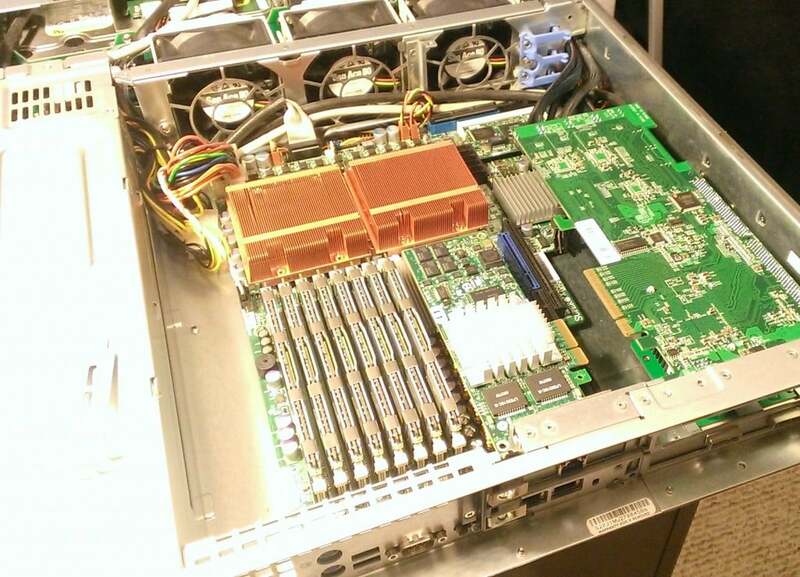 Inside of a re-purposed KVM VPS node which will now serve as backup storage. 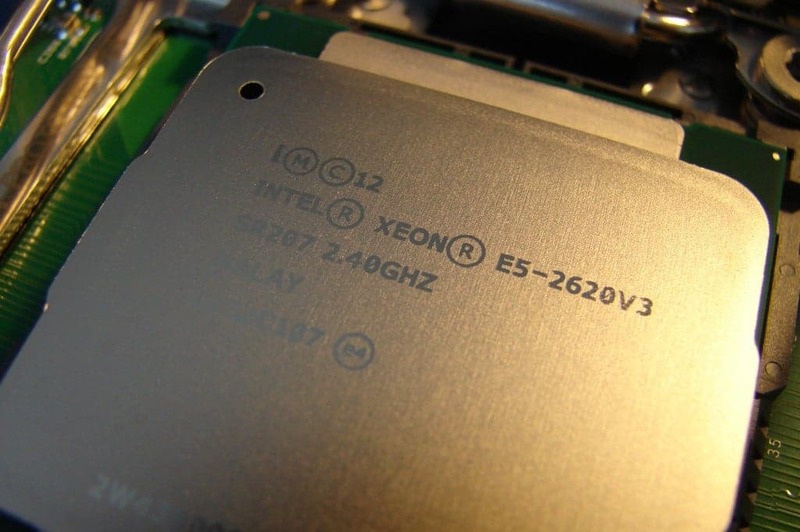 This server utilizes dual L5420 Intel Xeon processors. 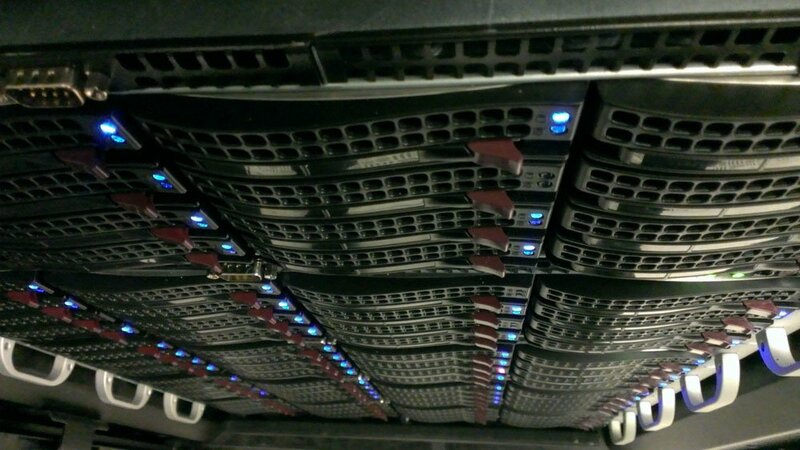 At the time of the photo, the server was awaiting a replacement riser card. 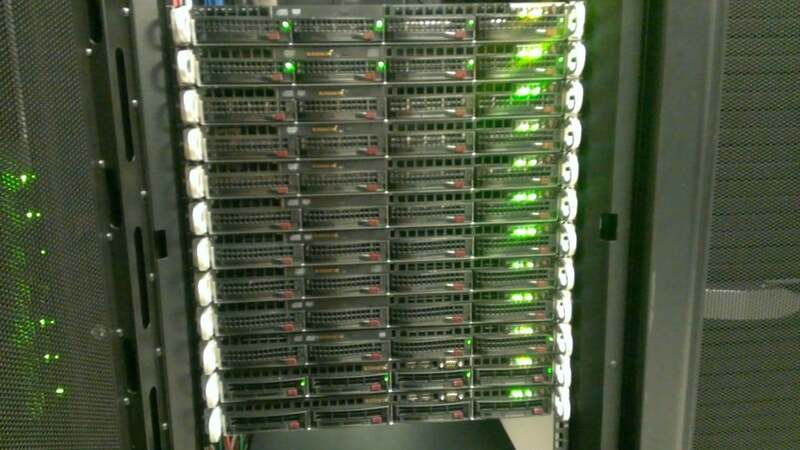 One of our older re-purposed R1Soft storage servers – 2U 8 disk chassis with RAM/CPU on the top, 2nd chassis is a dummy disk-only DAS chassis. 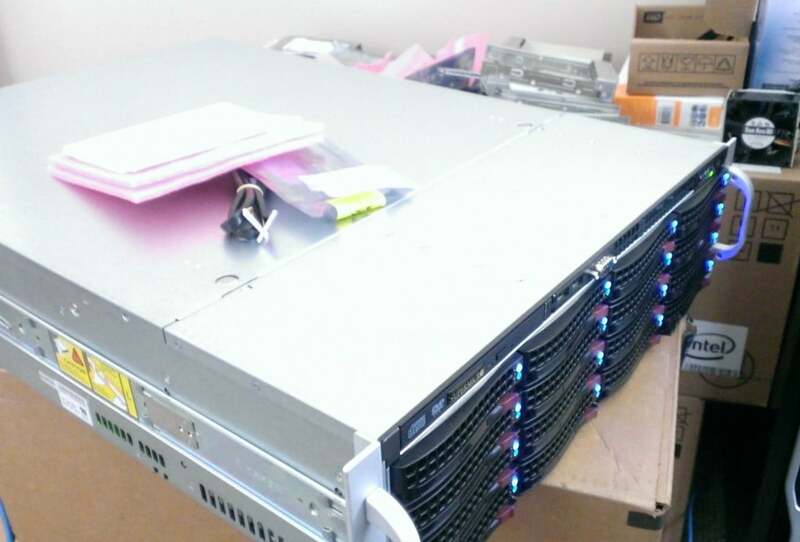 This’ll get replaced down the road with a 3U chassis for increased density on our backups for this node. 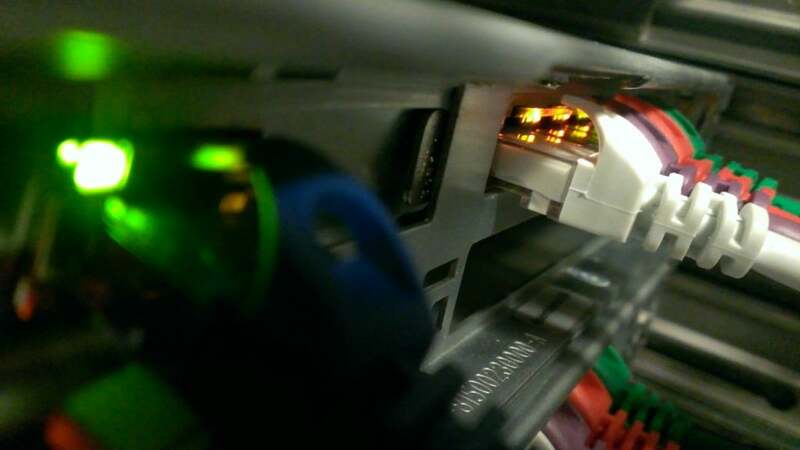 While we’re not quite to a 10 gig network yet, all of our servers (hypervisors & backup servers) utilize quad port nics for use on our backup network. This helps speed up the transfer rates for both backups & restores across the network.